This metamorphosis sits beyond style, beyond the eye candy of architectural magazines and publications. It is a social-economic revolution based upon the changing roles of the state, the private sector and the individual; altering the very concept model of architecture and the built environment. This is a revolution that understands and connects contractually the cost and value of design as a function of time. It recognizes that over the lifetime of a built environment, investment in design can significantly impact, not only the material reality of the capital/object but also catalytically affect operation and service delivery; re-evaluating the ‘affordability’ equation of architecture. We are being asked by this movement to innovate beyond image and object to a world of inter-relational affects; between architecture and service delivery; architecture and culture; architecture and facilities management. Changing the way we design, construct and operate our hospitals, schools, roads, colleges, and social housing amongst others. 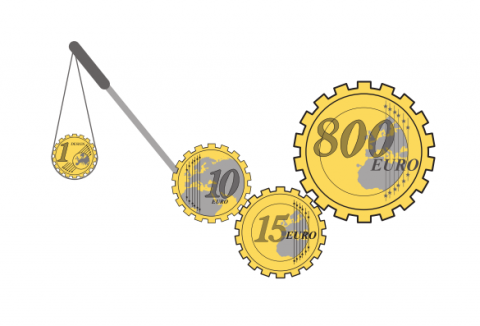 This is not a theoretical proposition, but a revolution that spans the globe and manifests change from Japan to the UK, attracting some £ 61.5 billion of investment (Jan 2005) and growing by £ 4.7 billion a year in the UK alone. The scale and nature of this investment model, where capital, revenue, and service delivery costs/values are designed in integration, is contractually changing the face of the built environment in the UK and beyond. 1 (design cost): 10 (initial capital cost): 15 (operation and maintenance cost of building): 800 (total cost of delivering the business from the facility). In a cascading response to this revised investment model we have witnessed an as yet un-harnessed expansion of the scope and responsibility of design and designers to affect value. A revision which asks us to deliver innovation and value beyond the capital investment of a building [1:10], to include the operation/maintenance [1:15] of that environment and more significantly its transformative long term affect upon the citizen consumer and the delivery of business and service operations [1:800]. Welcome to the future… it already happened. While architects were busy building, theorizing images of ‘organic’ fluid design and reveling in a residualised historic ‘industrial product’ myth, we missed our deliverance to an organismic, symbiotic reality. 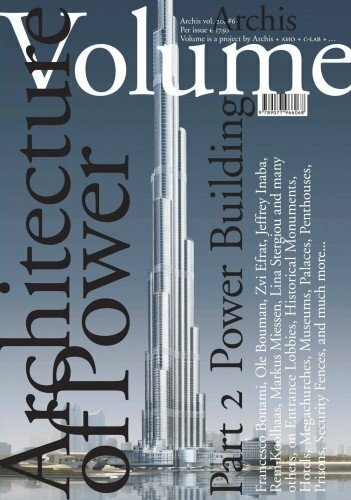 This article is part of Volume #6, ‘Architecture of Power, part II: Power Building’.